This was my next food adventure right after (and in the same night as) making Oatmeal Chocolate Chip Cookies. It all started because I had run out of my favorite granola (Udi’s Gluten Free “Au Naturel” Granola) and had forgotten to add it to my grocery list for a couple weeks in a row. And I was tired of having granola-less yogurt in the mornings. And I just so happened to have way too many oats left over from making the cookies (as a result of buying in bulk). So granola was born. Most of the time I like my granola pretty straightforward. 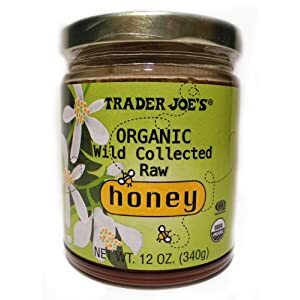 Without all sorts of fancy dried fruit or flakes of this and that, but this could easily be jazzed up with some chia seeds, sliced almonds, dried coconut pieces, cacao nibs… Just about anything tasty. Make sure to add a little more honey to coat everything if you do decide to spice it up. I totally did not measure anything for this. I just used up all the rest of my oats and poured in honey and vanilla until the taste and stickiness felt right to me. So the measurements are completely guesswork… As usual. What can you do? Make sure if you’re gluten intolerant to buy certified gluten free oats. Pour oats, honey (a little at a time), and vanilla into a medium mixing bowl. Mix until oats are evenly coated and sticky. Turn out onto a rimmed baking sheet. Spread evenly across baking sheet. Bake at 350 for 10-20 minutes (depending on your oven… mine is weak so I usually have to bake for double the time directed… In this case 20 minutes). Make sure to stir to oats every 5 minutes to ensure even toasting. Remove from oven when oats are a lovely toasted golden color. Allow to cool. Transfer to mason jar. Enjoy!